The announcement of Beyoncé's world tour immediately after her Superbowl performance (sorry, Coldplay who?) brought on a flurry of texts between myself and my two Bey-loving friends. I've never been a huge fan of hers, but as my two friends are studying abroad over the summer and Lemonade is currently the love of my life - not to mention the pop cultural significance of seeing such a performer live - we bought some high-rise seats and impatiently counted down the days until her show. As we live in North Carolina and so many other performers have recently canceled their shows here because of HB2, we spent the preceding weeks in dread that Beyoncé too would cancel. Our fears were unmet, as Beyoncé released a statement speaking out against the bill but still performed. The day arrived with some warnings of rain later in the day, but we were too excited to pay much attention to them. Unfortunately, I have a history with bad weather at concerts. Every year for the last four years at the end of the school year I have taken myself to an outdoor concert, and every time in those four years there has been a thunderstorm, causing a rain delay at the show. This year was no different. The gate opening was delayed due to a brief, heavy thunderstorm, but the opening - a bizarre 20 minute performance by DJ Khaled - was full of sunny skies and zero rain. 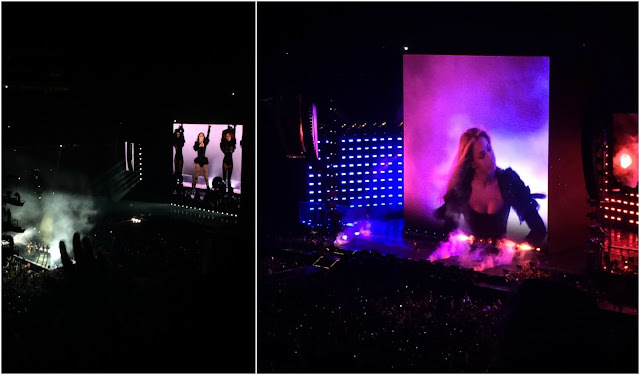 Beyoncé opened her set with a dramatic interpretation of "Formation" to the excited screams of the crowd. 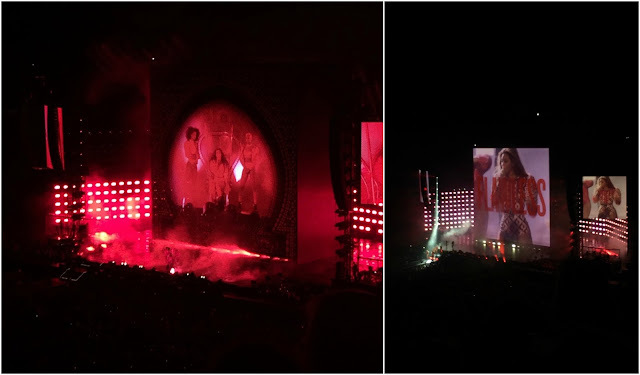 I have my reservations about Beyoncé's self-purported perfectionism, but from the moment she walked out on stage she connected with the audience, yelling out phrases like, "If you love where you came from, say 'I slay!'" immediately turning her political statements into an anthem for everyone. I expected a noticeable distinction between audience and performer yet she remained approachable throughout the night. 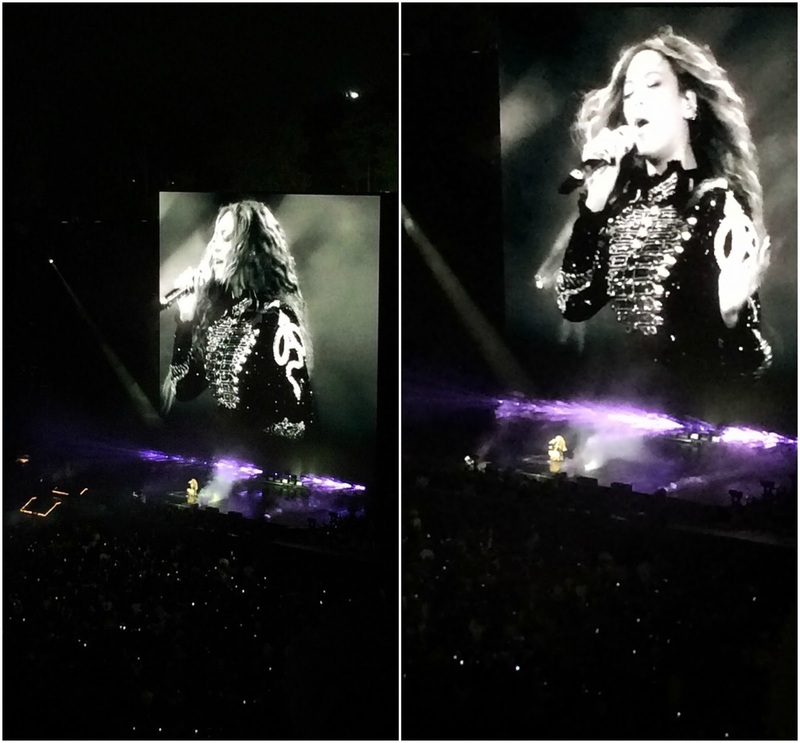 Her setlist was a nonstop set of new songs from Lemonade and old favourites, including a number of medleys combined with intense dance interludes. Her performance was out in full force, yet we could feel the thunderstorm returning as she reached the middle of her set. By the time she transitioned from "Rocket" to "Freakum Dress," there were lightning flashes every few seconds and the venue's security came on-stage to suspend the show until the storm passed. 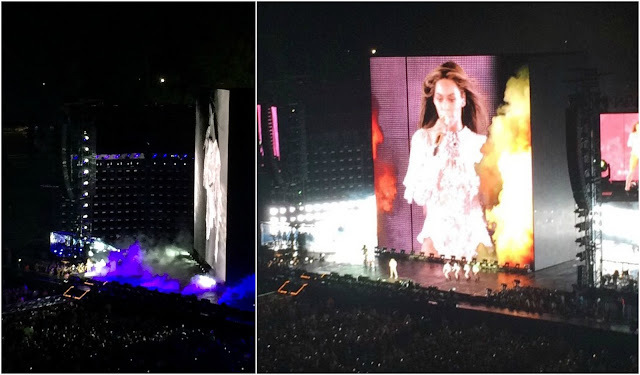 Everyone slowly evacuated to a nearby venue, but luckily the storm passed quickly and within an hour of evacuating Beyoncé was back on stage and performing. She profusely thanked everyone for staying through the storm and finished her set, even going well beyond her allotted time slot to give the crowd the full experience, and ended with "Halo" as fireworks went off in the back. Her show was an immense, intense experience, and it was on my mind constantly for several days after; the post-gig depression was too real. 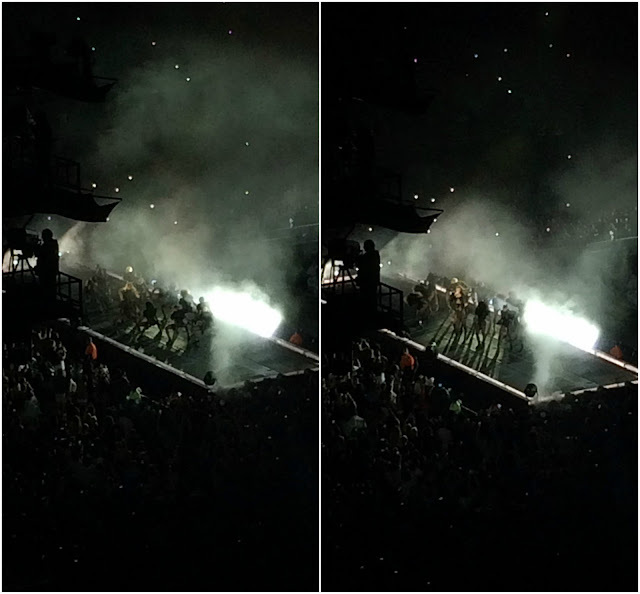 I've never been a big Beyoncé fan and I still emerged completely in awe. Beyoncé is a truly incredible performer, and I feel lucky to have gotten the chance to see her at the - dare I say - prime of her career.